The state of politics in America these days is a big stinking mess. Every time I hear the news, I feel more and more disgusted. Our elected offices are full of old, wealthy, white men who make a profit off of the suffering of others. In my eyes, that corruption is simply unacceptable; it’s time to vote them out. There happen to be a number of candidates running in federal and state level elections on Tuesday who don’t fit that mold; they are young, female, people of color, and/or people who identify as queer. Many of these candidates have never held office before in their lives, and a good number of them would be setting records if they win (check out this excellent article in the New York Times that breaks down the diversity in this election). If you are angry, sad, fearful, or hopeless right now, if you hate what Trump and the GOP are doing with their power, then this is your call to step up and do something about it. Help elect these candidates who are not corrupt, career politicians, but real people who see the need for real representation in this country. Here are some of the standout candidates running for office on Tuesday – go vote, donate, and volunteer for them now! P.p.s. If you’re looking for a super easy way to help elect Democrats, you can simply donate to the EWC Giving Circle. I’ve teamed up with my fellow American ethical bloggers to aggregate funds and make a bigger impact in state level races in Arizona. Here’s why. And here’s where to give! If she wins, not only would Kyrsten Sinema be the first openly bisexual Senator in the country, she would also be the first woman to ever represent Arizona in the Senate. Sinema is up against Republican Martha McSally in the race to fill retiring Senator Jeff Flake’s seat, so at least the seat is going to a woman either way. Unfortunately, McSally is a climate denier who Donald Trump named “the second-greatest vote you ever cast” (the first vote being, of course, for himself) at a rally he held for the candidate. Sinema, on the other hand, knows that climate change is a real threat caused by humans, is pro-choice, and an advocate for women’s and LGBTQ rights. This is a really close race, with Sinema and McSally polling nearly neck and neck just a few days out from the election. Arizona has not voted for a Democratic Senator since 1988, so flipping this seat from red to blue would be a huge upset for the GOP. Want to help Kyrsten Sinema get elected? You can donate here or volunteer to phone bank here! Stacey Abrams has gained a lot of press this election season, and for good reason. 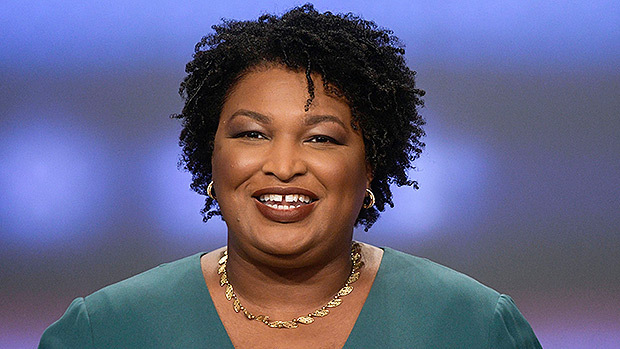 If she wins, Abrams will be the first black women to be elected governor in the entire country. It’s not going to be an easy win by any means, though – Abrams is running in a notoriously conservative state experiencing severe issues with voter suppression, especially in black communities. Yet Abrams’ story (she grew up in Mississippi in a poor working family) and her progressive policies (she wants to stop drilling for oil, stop voter suppression, and reform the criminal justice system) have inspired voters across the state and even Oprah to help her build a strong campaign. This is another really close race. Stacey Abrams is running against Georgia’s sitting Secretary of State Brian Kemp. Kemp has been polling ahead of Abrams, but only by a small margin. Want to help Stacey Abrams get elected? You can donate here or volunteer to phone bank here! Want to help Ilhan Omar get elected? 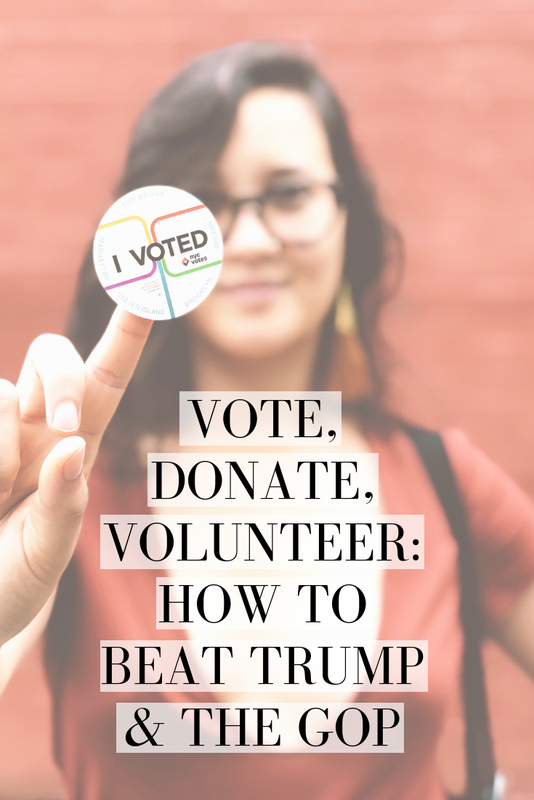 You can donate here or if you live in Minnesota, you can volunteer here! Image via Jahana Hayes campaign. Jahana Hayes is also polling ahead of her opponent and is expected to become Connecticut’s first African-American Democrat in Congress, as well as the first African-American Congresswoman from any state in New England. Hayes is not a career politician, but a devoted public school teacher (Obama named her Teacher of the Year in 2016) who grew up in housing projects, raised by a mother who struggled with addiction. Hayes became a mother herself at 17 and still managed to put herself through college – though she, much like many of us, is still paying off her student debt. She says that her life experience inspired her to run for Congress, and she is supporting progressive policies such as single payer healthcare, banning assault weapons, and protecting the environment. Want to help Jahana Hayes get elected? You can donate here or volunteer to phone bank here! Image via Katie Hill campaign. Despite flipping her own father from Republican to Democrat, Hill is only polling slightly ahead of her opponent in this close race. Want to help Katie Hill get elected? You can donate here and those who live out of state can volunteer here! If you live in the area, you can volunteer to get out the vote and drive voters to the polls here. Staying hydrated is easy with my Klean Kanteen classic bottle! Is Plastic Free July Enough In A World of Corrupt Capitalism? Is it terrible to say that I’m glad to see the end of Plastic Free July? As an advocate for sustainable living and someone who is saddened to see images of waterways and marine life choked with single-use plastics, I am inspired by the fact that such a widespread movement exists. But the frustration I ran into during my own 31 day challenge has shown me that no matter how successful this movement is at getting people to change their personal habits, it’s still damn near impossible to avoid plastic waste. Despite being equipped with my plastic-free go-kit and spending the month of July in Scotland, France, and New York (all of which are places that manage their waste relatively well) and being mindful to avoid or use an alternate for single-use plastics, I came nowhere close to plastic zero. A plastic seal here, a bottle cap there, and more than a few forms of packaged foods riddled themselves throughout my days during Plastic Free July. While I will be the first to tell you that my efforts did make a difference - after all I avoided probably 30 straws and cups as well as countless plastic bags, bottles, and utensils - I still felt extremely frustrated. It seemed as if no matter how hard I tried, plastic still managed to sneak its way into my day somehow. Experiencing this reaffirmed for me a truth that bubbles up far too often when contemplating a frustrating problem: the fact that the fact that the world in 2018 is not ruled in the interest of people & planet, but in the pursuit of profit over all else. A plastic filled grocery haul. I was pleased to see that Foodkick has switched from plastic bags to paper for packing fruits, but everything else still needs work. I have written to Foodkick multiple times to ask them to minimize their plastic packaging. It’s the rampant pursuit of profit that threw plastic in my path despite all of my best efforts to eradicate it from my life for just 31 days. I can bring my own straw, cup, bag, and bottle all day every day but at some point I’m going to have to purchase groceries, home goods, medicine, clothing...you name it, it’ll come wrapped in plastic. Big businesses choose to make their products and packaging from plastic instead of finding more eco-friendly options simply because it’s cheaper for them. Rather than put a dent in their profits, multinational corporations like Nestle and Unilever have decided that they would rather have their payout while the rest of us get plastic-clogged beaches and maimed marine life. It’s not our fault that all of this plastic packaging makes its way into our lives, no, that blame lies squarely at the feet of big corporations who choose to wrap their products in this material. Yet it’s the consumer who is made to feel lazy for not recycling, the consumer who is seen as inhumane for the simple act of drinking out of a straw. You know what? I’m done feeling guilty every time I buy a bottle of aspirin or unwrap a plastic-wrapped package of toilet paper. It’s time for us to stop shaming ourselves and others for being imperfect and to place that shame and responsibility back on the big companies which are responsible for the scourge of plastic pollution on our planet (read EcoCult’s excellent summary of how big businesses shifted the blame onto us in the first place). A plastic-free snack that we enjoyed in Paris, France. Personally, I believe that this is where the power of politics come in. Local and national governing bodies around the world can and should stop taking money from these big corporations so that they can be free from their lobbying and strong-arming. If a politician were not allowed to receive campaign donations from big oil or packaged food companies then perhaps they would not be so eager to vote against even the mildest of plastic bag bans (ahem, Andrew Cuomo). Imagine if, instead of leaving the recycling industry in the US up to private businesses (this article shows how that industry is failing anyway), the government took it over and required big corporations to fund it. Imagine if the production and use of plastic packaging were taxed. Perhaps if these companies’ bottom lines were in danger, they might be more likely to change their dirty habits. So does this mean that you should ditch your plastic-free go-kit and give up? Definitely not. I, for one, will continue to bring my own straw, cup, cutlery, bag, bottle, and napkin along with me wherever I can, because they do help me live lighter on this planet and because they are the start of a larger conversation. For every moment of frustration during Plastic Free July, there was a moment where my diligent habits sparked something larger. When a cafe owner sees my reusable cup & straw and begins thinking about how they might incorporate environmentally-friendly materials into their business, that’s a win to me. When a friend asks why I carry this kit around with me, it’s an opportunity to educate and encourage them to take action themselves. Enjoying a plastic-free day at the café, thanks to my Klean Kanteen cup and straw. As with all things to do with sustainable living, it’s all about taking baby steps. If you are new to the conversation around plastic pollution and you’re not sure where to start tackling it, by all means, build yourself a plastic-free go-kit. If that's the best first step for you, then please do learn all about living a zero-waste lifestyle (Kathryn Kellogg of Going Zero Waste has endless tips for doing it right) and see how much of your personal waste you can get rid of. And don't worry if you aren't perfect, because no one is going to shame you or yell at you for slipping up sometimes, because we all do it. That’s just how life works. You can head here to read all about my own imperfections in the first week of Plastic Free July, plus see everything that is in my go-kit. Vote for politicians who don’t take money from big business or oil lobbies. 2018 is a crucial election year, with 33 of 100 Senatorial seats up for reelection in November, as are all 435 seats in the House of Representatives. Take a look at the congressional races happening in your state and make an informed decision on who you’ll be voting for this fall. Then, talk to your friends & family about their campaign and why you’re voting for them. If you feel like you want to contribute even more to a particularly awesome candidate, get out there and canvas for them! Making phone calls and knocking on doors is not as intimidating as you might think, and the reward of electing an ethically driven politician to Congress will continue to pay off for years to come. Check out Ballotpedia for information on who is running for what in your area. Write a letter to a big corporation. Maybe it’s a brand that you just can’t live without, but you can’t stand how much plastic waste they generate. Or perhaps you want to add your voice to the thousands who already advocate against the biggest and most corrupt companies out there. Either way, put pen to paper and give them a piece of your mind. Kathryn Kellog of Going Zero Waste even has a great template you can use! Contact your current representatives. From Congress to state Governor to City Council, call your representatives office and let them know that you care about preventing plastic pollution and that you will be paying attention to what they are or are not doing about it. If there is a current law in process at the time (like pending bag and straw bans, bans on fracking, or waste management improvements) make sure you tell your reps exactly how you expect them to vote on it. Keep calling them on a weekly basis, get your friends & family to join in, and remind them that their job is to represent you, not big business.